Kyle Bronsdon > Words > 1946 Spartan Manor > Craigslist: 55 Spartan, gutted. No dummies. Of course. That’s why they’re only 12v. It’s copper in my ’51. Never heard of lead wiring. Lead in the joints of pipes in old houses, but not for electrical.. Some guy just went on telling me that they needed copper for the war and used lead instead….? These were built after the war. Read your history. I know this, but maybe there was a shortage. Just thought someone would have an answer. I don’t think lead is the greatest conductor of electricity… hard to believe if they didn’t have access to copper there wasn’t some better metal than lead. My ’57 wiring is copper. Okey dokey. Thanks [Rocket Scientist who doesn’t think lead is “the greatest” conductor of electricity]. We are starting this project and it seems daunting some days and doesnt help when you hear nay sayers two cents. 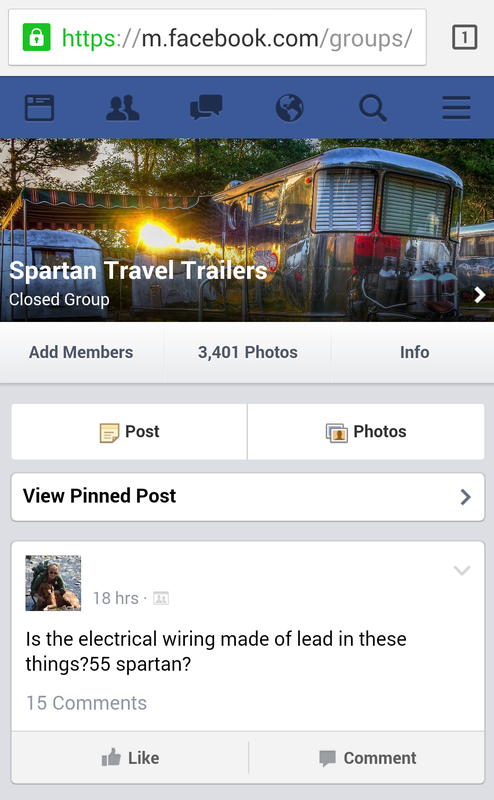 It’s great to be able to be part of this group and to have some more reliable experienced Spartan restorers opinions and advice. Lots of experience here on this page (not necessarily myself)! Don’t listen to the people who don’t know…. post your questions here. Priceless firsthand knowledge, not armchair speculation. My 1956 Royal Manor has copper original wiring throughout. My 55 IM had all copper wiring. Our 55IM is all copper wire. a lot of older wiring is tin or nicikel coated copper. which looks like AL.